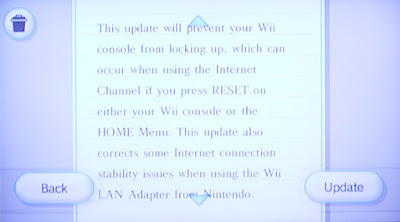 I can’t remember the last time we got an update for the Wii and now it’s two in one week. This one seems to be addressing issues with the web browser I’m not using. There was also a warning message if you had a modded console not to accept the update, that’s a little nicer than Microsoft. Updates and downloads are great but occasionally I miss the time when I was just turning my console on and play. I’m getting old. I’ve been using Mozilla for years and I don’t mean Firefox or Thunderbird, I mean Mozilla. I’ve switched from time to time to Internet Explorer when a new version was released but I always got back to Mozilla at the end.I had noticed for a while now that there was no updates to version 1.7.13 and since it was working for me I didn’t see any reason to look further but since I rolled back from Vista to XP on my home computer, this morning it was time to re-install Mozilla and that’s when I realized they stopped developing my favorite web browser in April of last year, the name of the new project: Seamonkey. I don’t want to sound ridiculously over-enthusiastic since I’ve been using it for half a day but it seems to be everything I like about Mozilla, only better. I started customizing the browser right after install with this spiffy splash screen and the blue-splash icons. I also changed the theme to iCandy Junior and I couldn’t be happier. 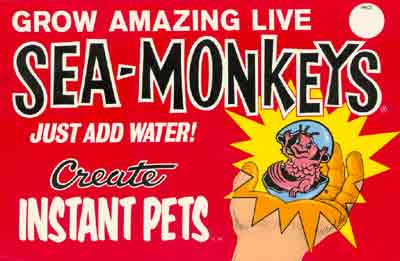 Goodbye Mozilla, farewell Internet Explorer 7… All Hail Seamonkey!